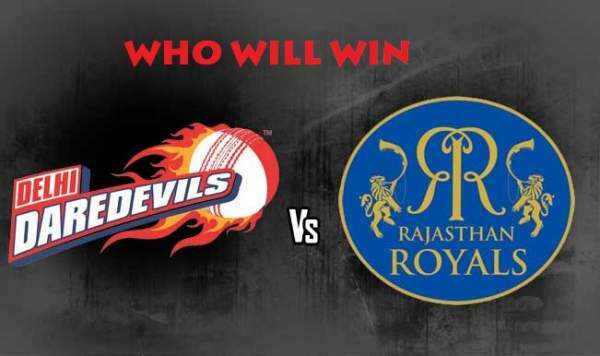 delhi daredevils vs rajasthan royals live streaming. DD vs RR live streaming (Delhi Daredevils vs Rajasthan Royals) of IPL 2018 will be available online on web and app portals of Hotstar, Jio, AirTel, and Star Sports. You can watch live cricket match today the stream provided by official broadcasters. It’s the 11th season of annual cricket extravaganza Indian Premier League. Today, it’s going to be the 32nd match of total 60 games to be played in this edition. As of before this match, the IPL points table 2018 lists Daredevils at the 8th spot with four points – winning just two and losing six matches out of eight played so far. While, Royals is at 6th position in seven games – winning three and losing four. Today’s match of IPL t20 between RR and DD will kickoff at 8 pm IST with a gap of 30 minutes after the toss. The toss will take place at 7:30 pm IST on Wednesday, May 2. If you catch the live updates online, then you can prefer watching the stream on Hotstar, Hotstar app, Jio TV app, AirTel TV app. However, if you are at home and catch the ball by ball updates, then Star Sports network is the sweet spot. Star Sports 1 / HD and Star Sports Select 1 / HD will provided the match with English commentary. While, Star Sports 1 Hindi / HD are for Hindi audiences. The fate of Delhi seems to have gone dark as only a handful of matches are left until the playoffs. The team will have to consider the rest of the games as a virtual knockout round. Under new captain Shreyas Iyer, the bottom placed team will look forward to more victories. In the match after Gautam Gambhir stepped down as the captain, Iyer scored 93 off 40 balls and too unbeaten and made his side win against Kolkata Knight Riders (KKR). But, last match nearly dashed their hopes. For Delhi, Iyer and Pant have made 306 and 257 runs so far in this edition. Boult has claimed 11 wickets so far. On the other hand, Rajasthan Royals led by Ajinkye Rahane has been inconsistent. Rahane and Samson have been consistent but Butler and Stokes’ inconsistency have affected their overall performance. Archer has claimed six wickets in two matches.